Welcome to this beautifully remodeled ranch home. 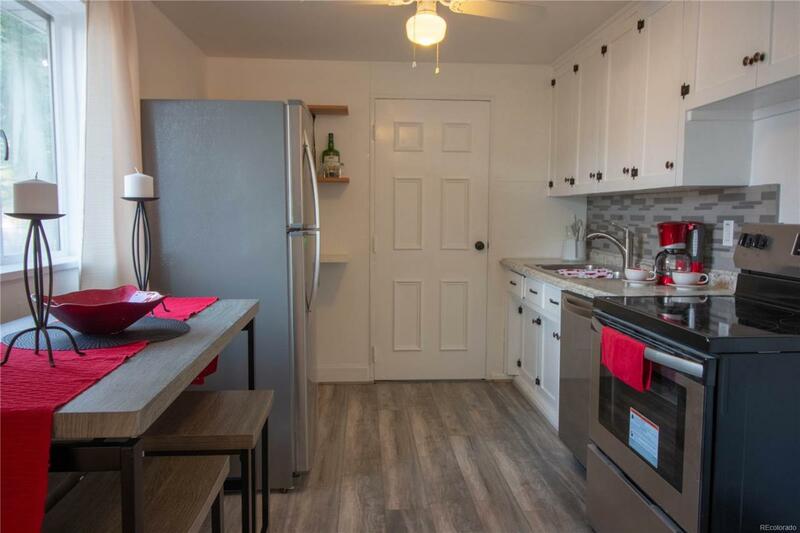 All New features include: Roof and gutters, bathroom fixtures and beautiful tile work, plumbing and water heater, kitchen appliances, counter, sink, and floor. Restored hardwood floors and new paint inside and out. Relax and play in the large fenced yard that backs up to the Bear Creek Bike Trail; its just steps from Wildcat Park. There is plenty of room to enjoy outdoor activities, and still expand. Conveniently close to the Oxford Light Rail, and Downtown Denver is a 20-minute drive. You will fall in love with this cozy home thats move in ready; its truly a must see property.